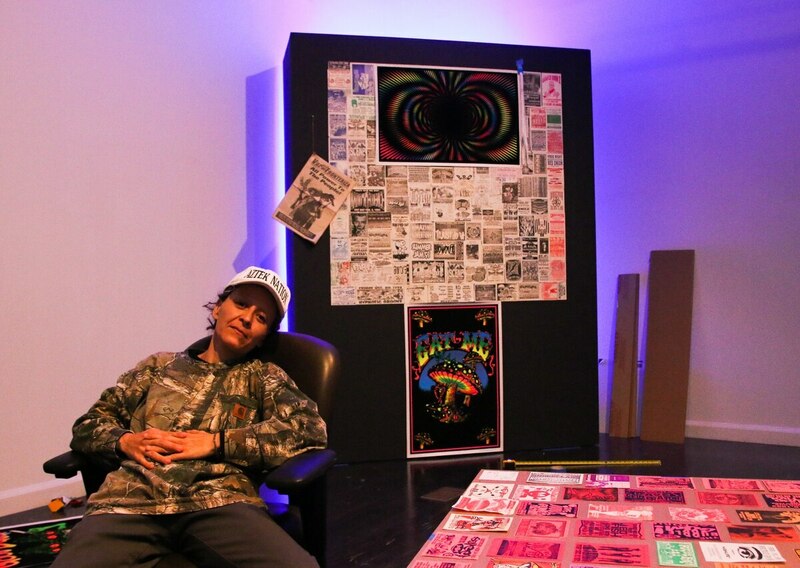 Rosales transforms the gallery space into something reminiscent of a teenage bedroom or kickback party, replete with black light posters, photo collages, party flyers, and home video projections. However, the goal is not to just indulge in nostalgia. Rosales' intentions are to create a safe space where Chicanx – and museum-goers at large – can discuss their youth, even if traumatic or shameful.